The Bechstein B 190 grand piano will charms you with its colourful voice and the absolute precision of is touch. The Bechstein B 190 grand piano fulfils your most secret wishes: your fingers glide softly over well-balanced keys; you feel the sensuality and perfection of the keyboard and the action assembly. 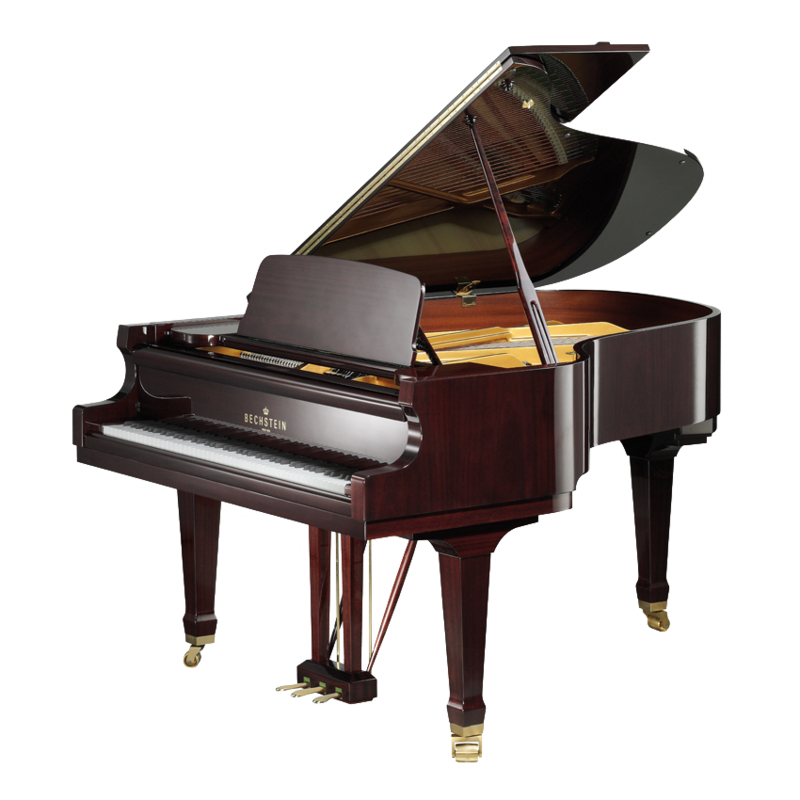 With this instrument in your music room, you experience the magic and elegance of the Bechstein world. The Bechstein B 190 grand piano offers not only a professional action, but also a remarkable voice that suits any musical style.A source of exceptional musical pleasure, the Bechstein B 190 grand piano stands out with its clear sound and colourful timbre. Its pleasant touch results from the precision and excellent response of the action. Its convenient size makes it suitable for both private music rooms and small concert halls.Bechstein brand pianos are designed for discriminating players — and have been captivating beginning and professional pianists for more than 160 years.Your Bechstein B 190 grand piano can be equipped with a Vario mute so that you can play day and night without disturbing your family or neighbours. Characteristics A high quality grand piano for private salons or small concert halls.